So many persons have being puzzled what Domainking Reseller Program is. That is no doubt because I was once confused. After some web research, I stumbled upon a site that had first hand conversation with Domainking Support. By the way, Xycinews Media is hosted on Domainking. Apart from the fact they host our site, they are obviously the best with 100% customer service satisfaction. You can oppose this with discreet reason in the comment box. Almost every Web Hosting company today offers a reseller program today. 4 Methods of Hosting and Reselling Domains. 5 How Domainking Reseller Program Works on Website. Domain And Hosting Reselling business or Domainking reseller program is another online business with profitable gains. It allows you to buy Domain and Hosting plans with a discount from web Hosting companies and resell them at your own price. When you purchase Domain and Hosting from them, you will resell right from your own website without going through so much stress. This article was extracted from a source already mentioned below. The conversation below is between Domainking Support and Kennedy Prosper. He is a big fan of Domainking and wanted to try out the Domainking reseller program service. From his conversation with Domainking support as mentioned below, all the information you want is convered here. Hi, I am Angad from DomainKing.NG. I would like to thank you for your desire in our reseller program. Methods of Hosting and Reselling Domains. 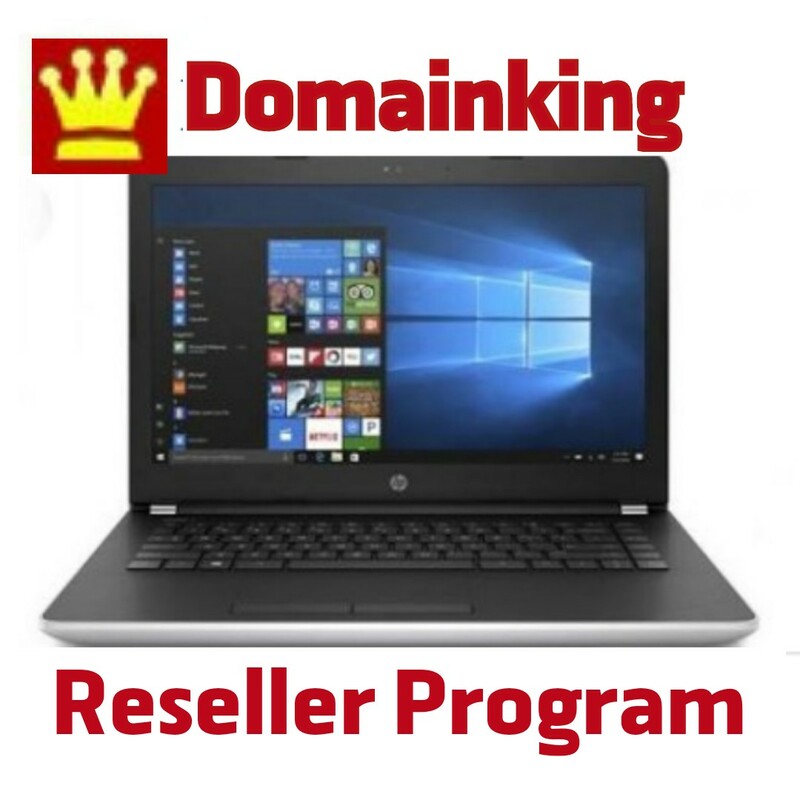 The Domainking reseller program can be operated in two primary ways. In this method, you just buy domains and hosting from Domainking by placing order for domains and hosting on their site whenever you have a new order from your clients. You will be charged the reseller pricing for your slab as explained in How Reseller Program Works Below . You use domainking automated WHMCS plugin to automatically place order at their site whenever someone purchase domain or hosting on your site. First, you need a website with WHMCS billing cart software installed on it. You can then use the automated plugin to activate orders automatically using your deposit with Domainking. It recommended you use WHMCS for your website if you want the best solution. Certainly, it is used by over 95% web hosting providers globally. The cost of WHMCS is almost N6000 monthly set by WHMCS software developers. But it is the best cart for hosting providers. How Domainking Reseller Program Works on Website. The conversation below is carried out by Domainking support (OUR). We offer discounts to our bulk resellers. So when your sale increases in the future and you have crossed a certain level of sale with us, then you will get discounted prices for both domains and web hosting. The discount level will depend on the slab that you are in currently. In our last slab you can get .com for as low as N4000 (this price can change depending on the NGN to USD prices), and .com.ng for N1200, .ng for N10,500. Similarly, for web hosting you can get discounts for 20%-30% depending on the plan. You can also choose to start with the last slab or a lower price slab. Therefore, you need to make a certain deposit balance with us that can be used to buy domains and hosting. The base slab starts with no deposit. .ng= N10,500 (N8899 for 1st year). .ng= N10,000 (N8899 for 1st year). .ng= N9500 (N8899 for 1st year). .ng= N9000 (N8899 for 1st year). And after you have registered with domaimking, please let us know the slab you want to choose and we will create the invoice for you so that you can make deposit for that slab. We will then setup/provision your Reseller account for you. Please also note that the prices for gtlds (.i.e. international domains like .com, .net, .biz, .org is dependent on NGN to USD prices. So it can change depending on the currency fluctuations. We also offer many other domain offers every month. So you can sell more to your customers. The deposit for each slab is fully usable and will be added to your credit balance. It is fully usable and can be used for buying domains and hosting services from domainking. After getting that answer from them then Kennedy Prosper asked again if he can also earn from his clients renewal fees and below was the answer. Kennedy Prosper proposed you earn very little commission from the Domain Reseller Program. Implying hard work with little profit. BlogsNg is owned by Popular Nigerian Blogger, Kennedy Prosper. He is a Nigerian Blogger with difference, he strive to help the new bloggers to build and create a blog that makes money online. He is also a Prophetic Blogger who reveals all the hidden secretes to successful Blogging. Sharing is Love   .